Keep your guests informed. inspired. entertained. engaged. Our event app does that. Easily set up your event app to provide all the information, activities and entertainment your attendees need for a great event experience. Your conference app will save time and enhance the event experience. Easy to use, manage and customize. Everything attendees need to stay informed and get excited about the event, all in your app. Upgrade your old event guide and go paperless. From schedules to speaker bios and networking to notifications, EventMobi has everything you need to make your event a success. Attendees can access venue and speaker details, interact with each other, participate in games and live polls, take notes on sessions, and view documents – all within your event app. What’s in it for you? Communicate important event information to attendees at the click of a button, and easily make updates on the fly without costly reprinting fees. Enhance networking opportunities, improve information-sharing, and gather event feedback easily within the app. Everything you need to retire your outdated event guide and reduce paper at your event. Give attendees easy access to all the event information they need. Highlight your brand with easy customization. You only get one chance to make a good first impression. Give your event the introduction it deserves with an event app that highlights your branding and allows you to customize the look and feel of your event app to your heart’s content! 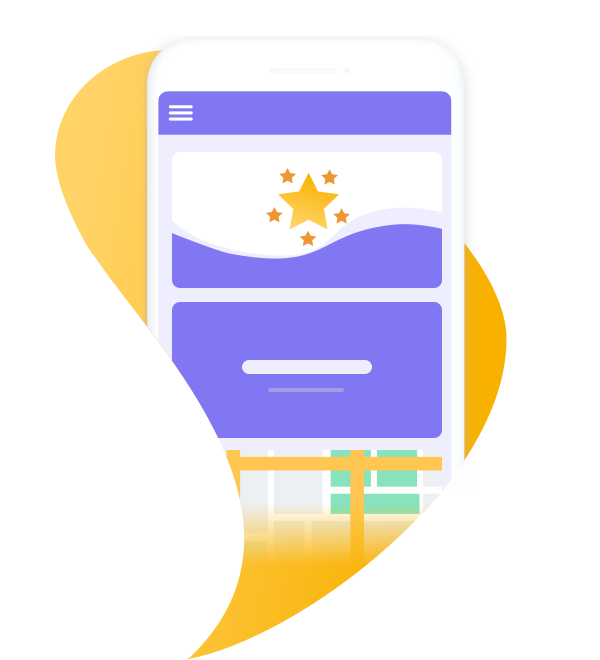 Your event app’s dynamic Home Screen can be beautifully designed to engage attendees from the moment they set eyes on the app. Take advantage of an easily configurable layout, customizable images or gifs, countdown timers, personal schedules and more to reflect your brand and your event. Creating a beautiful, easy-to-use event app couldn’t be easier. Easily customize the look and feel of your event app to highlight your brand and match your event’s tone or theme. Ensure brand consistency throughout your event lifecycle. Deliver a personalized event experience. Make everyone at your event feel like a VIP. Powerful features make it easy for you to give every attendee an event experience that feels like it was designed just for them. Offer event participants the ability to customize their profiles and build personal schedules, connect with others through private messages or group discussions, share their thoughts in the activity feed and more. There are countless ways to engage and enrich the event experience, giving you the opportunity to discover more about what makes your audience tick in the process! Provide your event participants with an engaging, enriching and personalized event experience that people won’t be able to stop talking about! "The app is really flexible and easy to modify..."
for member adoption and engagement on their event app. Here’s how they did it. Maximize event app usage and deliver that powerful event experience you worked hard to create. Discover offline, onsite and over-the-top event app promotion strategies to ensure attendees are engaged. Event apps offer a wealth of revenue-generation opportunities from advertising to sponsored notifications. Learn everything you need to know from pricing strategy to post-event ROI reporting. Hot Trend: How to Design Memorable Experiences. Learn the 6 steps to success with the Event Experience Framework. Download now & earn 1 CMP credit! Provide easy access to your entire event portfolio. Drive more registrations by cross-promoting events to your members, employees, and customers.